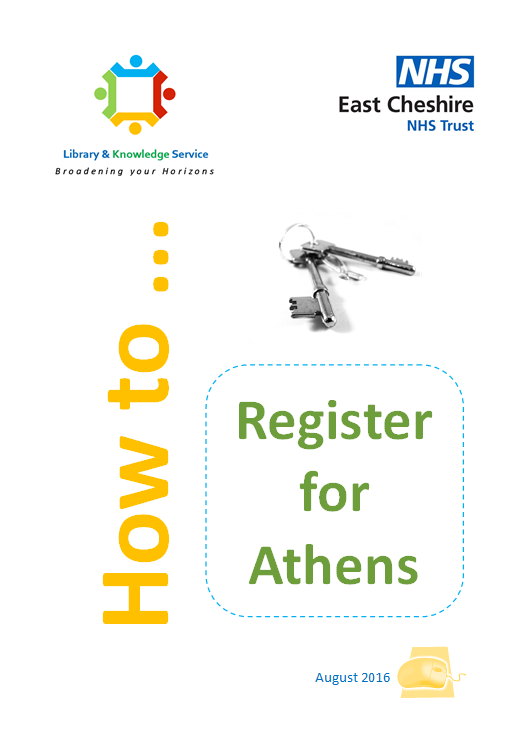 The Library has produced a Guide to Athens registration and a short video explaining how to set up an Athens account. Forgotten your password? - follow the on-screen instructions to reset your password. Moving organisation? - you can move your NHS Athens from one Trust to another as you move jobs. To do this login to Athens and select 'Change organisation' from the left-hand menu. Update your details and click 'Change'. Your details will be sent to the Athens administrator at the new Trust who will need to approve your eligibility. ​For additional help or information contact Alison Thornley, eResources Librarian, or contact the Library.